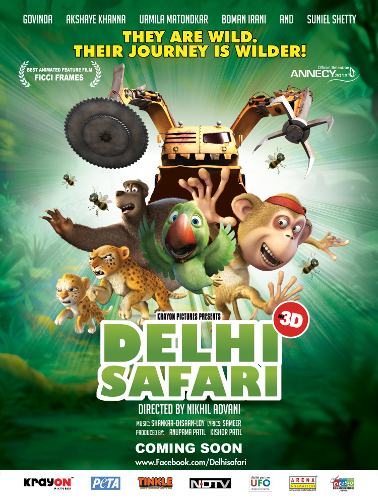 Delhi Safari is an animated film featuring animal characters. It is Bollywood’s (Indian film industry’s) latest bet on becoming another world blockbuster. Directed by Nikhil Advani, the movie follows the journey of a cub leopard/cheetah, his mother and a few close animal-friends to New Delhi, the capital of India. They plan to petition the Parliament to stop destroying the jungles. The scenes where giant bulldozers destroy the trees and whoever / whatever comes into their paths remind one of AVATAR (2009) where giant machines come to an alien planet and destroy their sacred trees and whoever / whatever comes into their paths. Both science fiction and animation are, of course, mere metaphors. But they reflect quite accurately what is happening in the real world – where jungles and rural communities are bulldozed to make way for giant malls and skyscrapers. Even in animation, Indians, like most Asians, still go for melodrama. The first scenes are very melodramatic and are sure to extract a tear or two from most people. The CGI (Computer-generated imagery) is flawless, detailed, innovative and humorous. The scenes with the honeybees are enjoyable with very creative bees-weapons. The lead animal characters of this jungle story are a cheetah/leopard and her son, a monkey and his two sidekicks, a bear and an absent-minded owl. It is not clear whether the cub and his parents are cheetahs or leopards. They have the spots of cheetahs and the humans in the movie referred to the cub as a cheetah. But these cheetahs lack the “tear lines” that differentiate cheetahs from leopards. And these cheetahs are also robust like leopards and not slim like cheetahs. When the bulldozers came to destroy their jungle-home, these animals decided that it was time for the jungle’s residents to look for another home. The animals were divided on what to do with their situation. The top monkey advocated war while the big bear preferred a dialogue with the humans. It’s a typical human dilemma when confronted with conflict – to go to war or to negotiate. They finally agreed to look for an animal who could speak the human language. And of course, that would be a parrot. This parrot is no ordinary parrot. He is the parrot of a famous Indian film director and he himself is a film star. He speaks several languages, not only Hindi. Many humans treat animals in a lowly manner because animals cannot speak. Yet, when an animal could speak – like parrots – humans say that it is nothing but mimicry. Scientific studies- like those of Andrew Iwaniuk’s 2004 paper “This Bird Is No Airhead” published by the Natural Sciences and Engineering Research Council of Canada — have shown that parrots and jaybirds have brain-to body size ratios similar to those of higher apes (which includes humans). The brain-to-body size ratio is, according to scientists, the best indicator of intelligence. 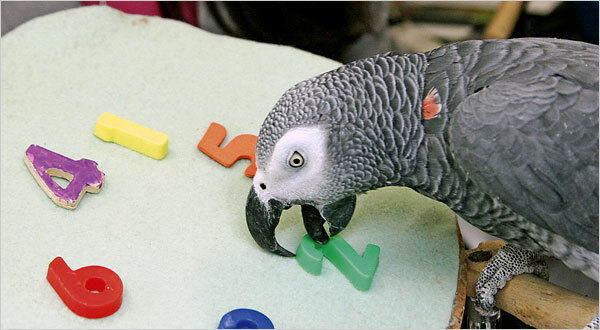 In fact, there is a real Alex the parrot, who was the subject of a 30-year study by Irene Pepperberg of the University of Arizona and later, Harvard and Brandeis Universities. He was also a star; not in films but in the academic circle. According to animal psychologist Irene Pepperberg, Alex was capable of basic reasoning and his intelligence was comparable to dolphins, great apes and even to a five year-old human. But, despite findings like those of Dr. Pepperberg’s, humans still insist that no animal can reason and no animal can talk. If they do, they merely mimic – without understanding the words. People might say that the environmental message of the film is so obvious and aggressive. But shouldn’t that be the case? The forests of the world are rapidly dwindling. Yet the forests are the “lungs of the earth” – they absorb the greenhouse gas Carbon Dioxide and produce oxygen which we humans need to live. Everywhere in the planet, the concrete jungle of urban cities filled with concrete- and-glass buildings and skyscrapers are replacing the natural jungles, forests, and rustic country side. 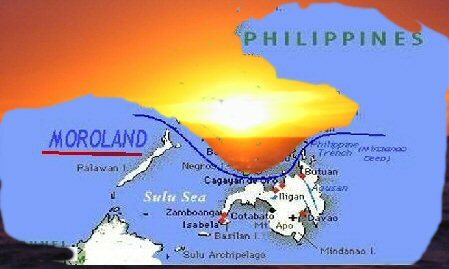 If the United Nations’ study on Climate Change is true, then we need to protect our remaining forests and create additional ones through reforestation. Perhaps it is time for films to forcefully advocate environmental issues – before it is too late. Films from Bollywood have been steadily winning fans from all over the world. India’s hit films grossed some US$20,000,000 or more for each movie. Top-grossing British and Hollywood films Slumdog Millionaire (2008) and Life Of Pi (2012), though not Indian productions, were set in India and with Indian actors. They pay, in a way, homage to Indian filmmaking, especially Slumdog Millionaire where a song-and-dance number characteristic of Bollywood films was included at the end of the film. Most animated films are musicals – from Fantasia to Aladdin to the latest animated musical extravaganzas. Combining Bollywood’s expertise in musicals with animation should come naturally. And in Delhi Safari (2012), Bollywood has found another hit formula. The film is India’s first stereoscopic 3D animated film. It premiered in France where it was shown at the Annecy Film Festival, the most prestigious festival for animation. The film’s dialogue is in Hinglish (Hindi and English). Hollywood took note of the movie and created an English version with the voices of Tom Kenny, Jason Alexander, Cary Elwes, Christopher Lloyd, Jane Lynch, Vanessa Williams and Brad Garrett. The movie was released in India on October 19, 2012, in the USA on 7 December 2012 and in Russia on April 11, 2013. Perhaps it will be shown in the Philippines this year, depending on our film distributors here. But then, in this globalized world, any film is accessible through DVDs or the Internet.